39 De Grey Street – It’s a wrap! 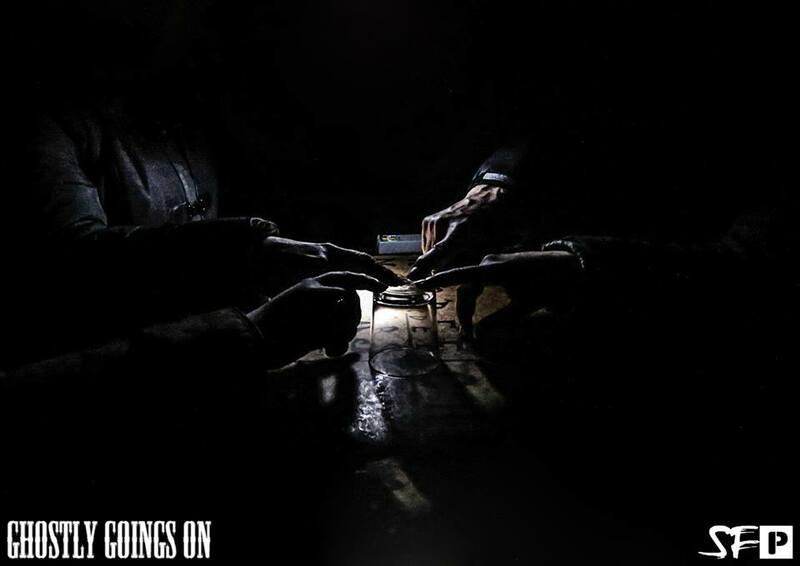 On Saturday 24th November 2018 Danni & Dan hosted GGO’s last investigation of 2018 and it was pretty epic. 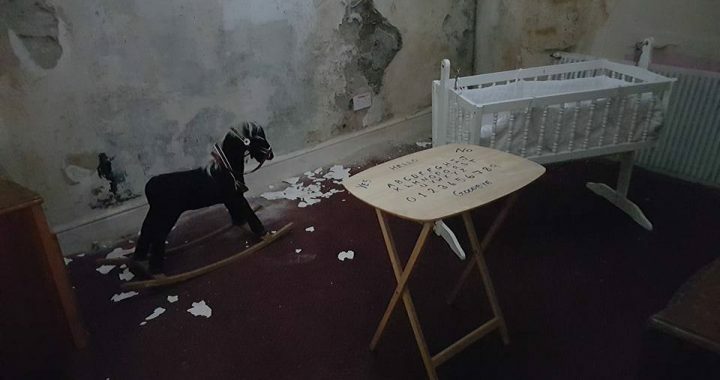 They spent the night along with 10 very brave guests in Hull’s reputedly most haunted home – 39 De Grey Street. As you’ll probably know, the team have spent a lot of time investigating 39 De Grey Street over the past three years and with each visit the activity seems to become more intense. The house owner Andy, has recently acquired a coffin that was used in a chapel of rest. We decided to set up our motion sensor alarms inside the coffin whilst we investigated the attic. These alarms have only be activated once maybe twice throughout the many years of using them and last night they were activated twice inside the coffin within ten minutes. So it only felt right to send Dan into the coffin to conduct a lone vigil whilst the rest of us investigated the attic. Dan spent around 15 minutes alone downstairs in the coffin and whilst he was in there he started hearing someone walking around the coffin. He decided to start filming using his mobile phone and it certainly sounds as if someone is walking around the coffin! Ghost hunting equipment – What do I need? You’ve picked a fabulous ghost hunting location, you’ve packed your torch but what about your ghost hunting equipment? With so many gizmos and gadgets available on the market these days it’s hard to know where to begin when putting together your best ghost busting kit. Our advice is to keep it simple – A good voice recorder for capturing those EVP’s (Electronic Voice Phenomena)and a full spectrum camcorder to document your visual evidence. 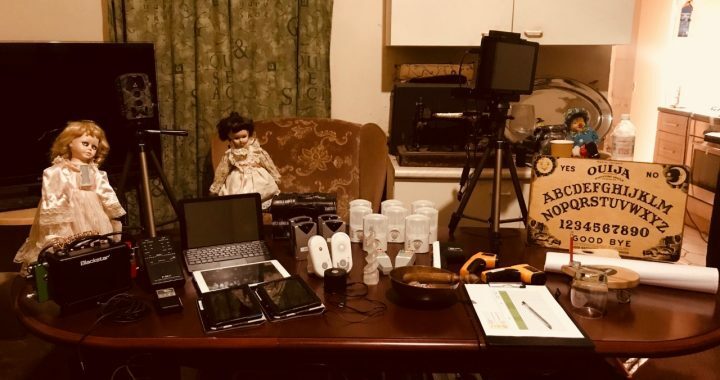 Of course, there’s also a million and one other gadgets out there for aspiring paranormal investigators to spend their hard earned cash on in the hope of aiding their quest to capture evidence of life after death and below are some of the teams personal favourites. What would Ghostly Goings On recommend? 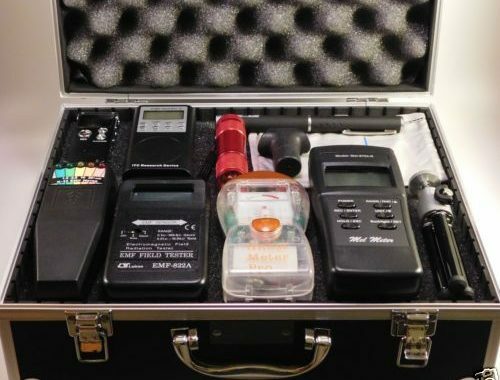 As a ghost hunting events company we provide our guests with a wide range of equipment that we believe helps us communicate with the spirits of those who no longer walk this earth plane. From EMF detectors to spirit boxes, we have tried and tested pretty much every piece of paranormal equipment going – So what would we recommend? The K2 meter is a device which detects spikes in the electro magnetic energy. The PSB7 Spirit Box uses radio frequency sweeps to generate white noise which theories suggest give entities the energy they need to be heard. When this occurs you will hear voices or sounds coming through the static in an attempt to communicate.However, it is worth noting that radio bleed can occur and the amount of bleed will depend on the locality in which the spirit box is being used. A Full Spectrum Camcorder can see visible colours like the human eye, but it can also see near INFRARED and Ultraviolet. As such this increases the chance of capturing paranormal activity outside of our visible sight range. Using motion sensor based equipment is a fabulous way of detecting movement that we are unable to see with our own eyes. You can even purchase motion sensor toys such as teddy bears to appeal to any children spirits who may be present. The KINECT sensor projects over one million small infrared beams over a wide field of view. The sensor recognises changes in depth as and when each of the beams are broken, allowing the device to build a 3D model of its view. The software has been programmed to recognise Skeletal and Facial characteristics, which the device uses to create the ‘stickman’ when it recognises a human body or spirit. We always use a laser thermometer on all of our investigations as they are essential for documenting and recording the temperature of the environment of which you are investigating. If at any point during the investigation you feel a sudden shift in the temperature, whether it be an increase or a decrease, you can then use the laser thermometer to determine whether or not the temperature has in fact changed. We usually look for a 5 degree difference either above or below the initial baseline temperature to deem it as substantial. EchoVox is a real time amplified recording system used to create a bed of random chaotic noise using random phonetics, microphone input and a natural loop recording echo. Delay time can be set from anywhere to 0-10 seconds. This means what you are hearing is the actual audio being recorded to disk in real time, as it happens. Echovox is used by Barry Fitzgerald of TV’s Ghost Hunters International and Bill Murphy of TV’s Fact or Faked Paranormal files, Chris Flemming of Psychic Kids and Robb Demarest of Ghost Hunters International and other leaders in the paranormal field. Where can I buy my ghost hunting equipment? It’s important that you use a retailer who is trustworthy and genuine. There are many fakes in the market which aren’t always easy to spot so always buy your equipment from a reputable company. We can personally recommend the guys over at Infraready. They sell a wide range of paranormal goodies at a competitive price and they are UK based. Built by the Victorians to protect Portland Harbour, Nothe Fort is one of the best preserved Forts of its kind. The Fort is also a hotbed for paranormal activity, with it’s visitors often spooked by the spectre of a whistling gunner, who stalks the many corridors and passageways. 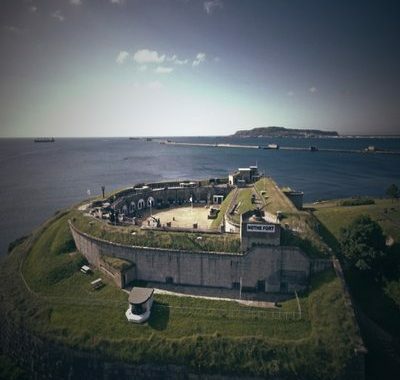 Nothe Fort is fast becoming known as one of England’s most haunted Forts, with many people refusing to venture back inside after experiencing the buildings ghostly inhabitants. 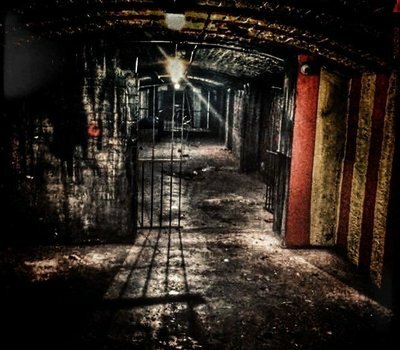 Creep Tunnels lay beneath the New Brighton Palace in Merseyside, and have a fascinating history dating back over two hundred years. Before it’s life as a popular local nightclub, the area was once plagued by Pirates and Smugglers – It is said that a lot of the reported hauntings inside Creep Tunnels, are down to the restless souls of the Pirates and Smugglers,who are still searching for their lost loot and hoping to seek revenge. Throw in numerous sightings of a ‘Grey Lady’ who is often seen roaming the dark corridors, grabbing at visitors clothes and Creep Tunnels really does seem to be the perfect ghost hunting location. Listen now to find out what the team experienced during their first ever investigation at Creep Tunnels. It boasts an impressive 900 year history and is the countries oldest pub. This infamous pub certainly boasts an eerie atmosphere once the doors are closed to the public, and the activity experienced inside never fails to amaze us. 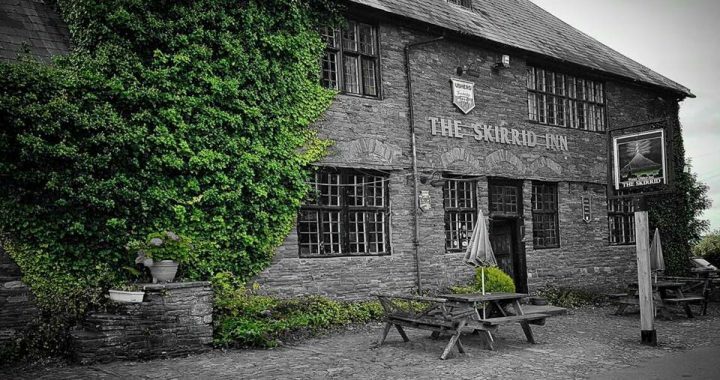 Listen here to find out what happened during our last investigation of The Skirrid Inn. HMP Gloucester is a local location for us and one that has only recently opened it’s doors to ghost hunting companies around the UK. The prison certainly boasts a dark and abhorrent past, with countless executions and deaths occurring on the site over the last 200 years. It’s fair to say that HMP Gloucester has also housed some of the countries most notorious criminals, including serial killer, Fred West. The energy inside this historic prison surely must be astounding. 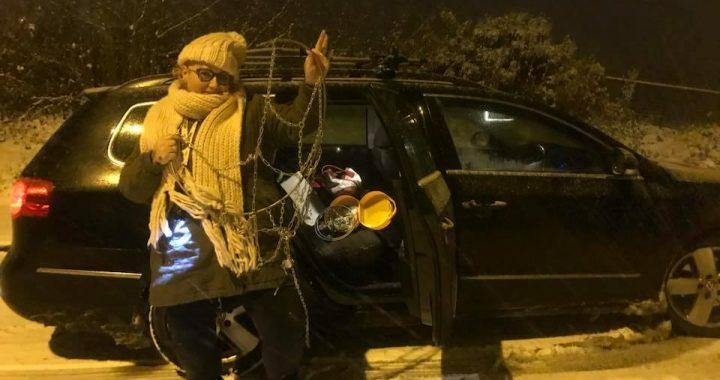 This is ghost hunting at it’s most extreme – Did we handle a night behind bars? 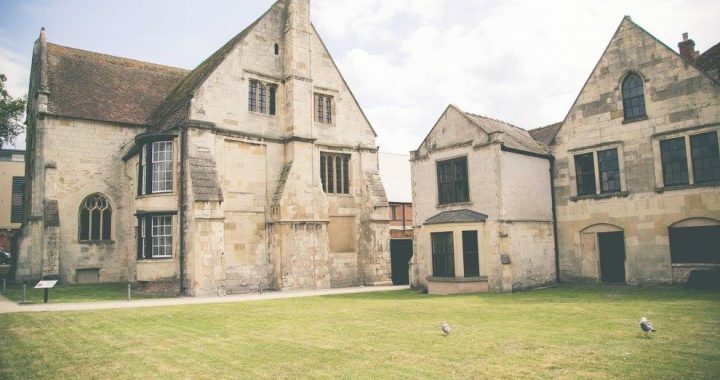 *HMP Gloucester Podcast update – Since recording, Jail House Tours have confirmed that they have had their contract for paranormal hire extended, which means the prison is staying open for investigations! 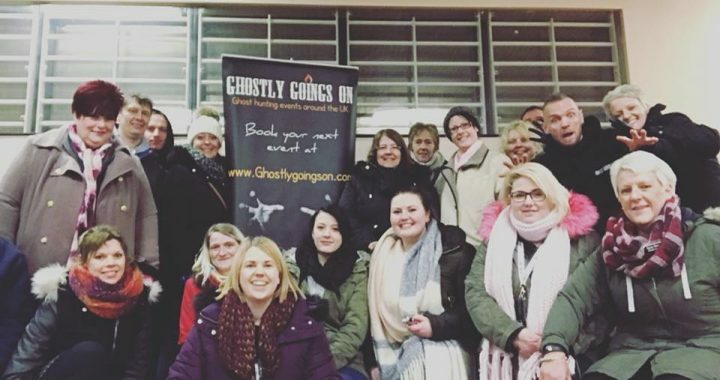 If you would like to join us on a ghost hunt inside HMP Gloucester click here. 39 De Grey Street, Hull, is described by many as the ‘UK’s most haunted home’, with previous tenants fleeing and refusing to sleep another night inside. An indistinct, evil presence is said to be responsible for dragging a young women from her bed and for holding a man up against a wall by it’s unseen hands. With furniture moving seemingly of it’s own accord to the sounds of a menacing growling, this place really does seem to be a ghost hunters paradise. Blackfriars Priory Podcast – A ‘bleeding Friar’, doors which lock seemingly of their own accord, and the constant noise of footsteps are just some of the examples of the type of activity reported from within Blackfriars priory. This location is seriously dark, with numerous burial grounds discovered, with the most recent being in 1991. 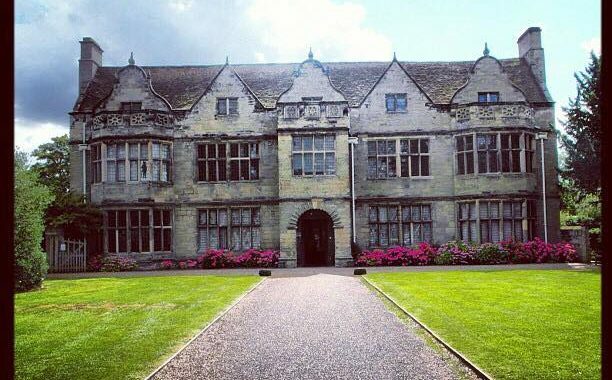 Blackfriars Priory is a hotbed for paranormal activity which certainly tested the nerves of even the more seasoned investigator on the team.